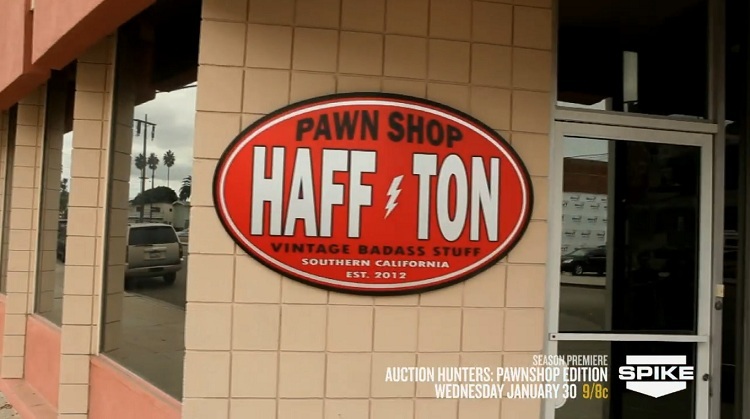 Does anyone know where the Haff Ton Pawn Shop is located and if so have you been there? 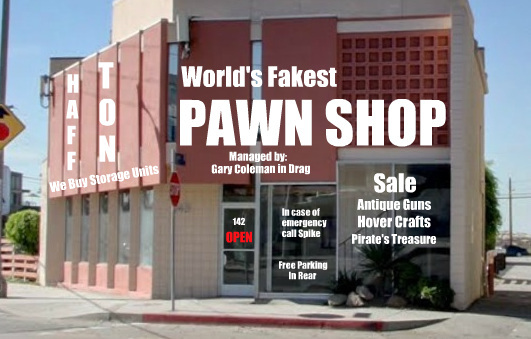 Re: Where is the Haff Ton Pawn Shop? where is your store? Culver city? Malibu? Back lot of spike TV studio? My customers: "Where are you located, I'd like to come by and see what you have for sale?" Me: (In a snooty voice) "Sorry, my store is in an undisclosed location due to it being a working shop." "We wouldn't want just any old riff-raff showing up to buy my merchandise!" LOL! Based on thier profits, it's either in Beverly Hills, or Dubai City! I don't care who you are, that there is just funny. It would appear that they are at or very near: 141 Culver Blvd, Playa Del Rey, CA 90293 which is on the corner of Esplanade St.
Yuuup! That's it! 142 Culver Blvd, Playa Del Rey, CA 90293. I think the upstairs tenant will be around longer though. It's pretty easy to identify their shop if you compare the door, the paint color, the mail slot and the windows. This is the way it looks after all of the remodeling. No wonder my flea market sales haven't been exploding, I don't have a sign that says "Vintage Bada$$ Stuff"! Pure marketing genius! Just went by there today. No signs outside, but a peek inside reveals the stuff on the show. Just a storefront prop. Shame on you guys! That's what we figured....thanks for letting everyone know! Thats my neck of the woods. looks like an apt building to me. is that the actual location.? Yeah, it's a real building. It's about the only thing on the show that's real.